Looking for the most talked about TV shows and movies from the around the world? They’re all on Netflix. We’ve got award-winning series, movies, documentaries, and stand-up specials. 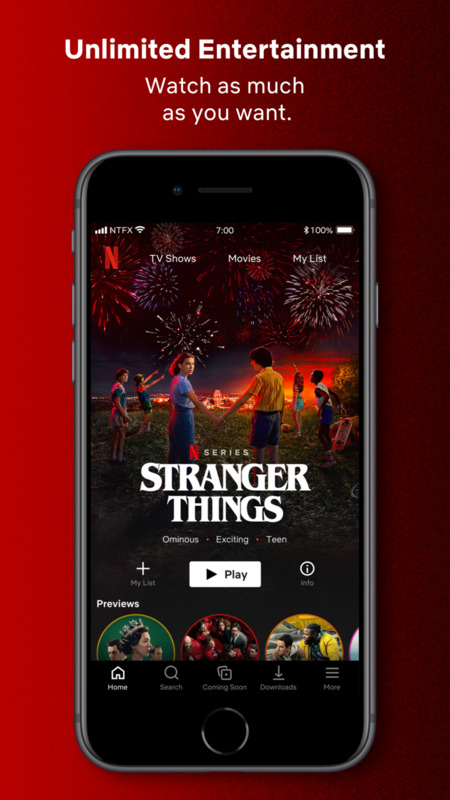 And with the mobile app, you get Netflix while you travel, commute, or just take a break. • We add TV shows and movies all the time. Browse new titles or search for your favorites, and stream videos right on your device. 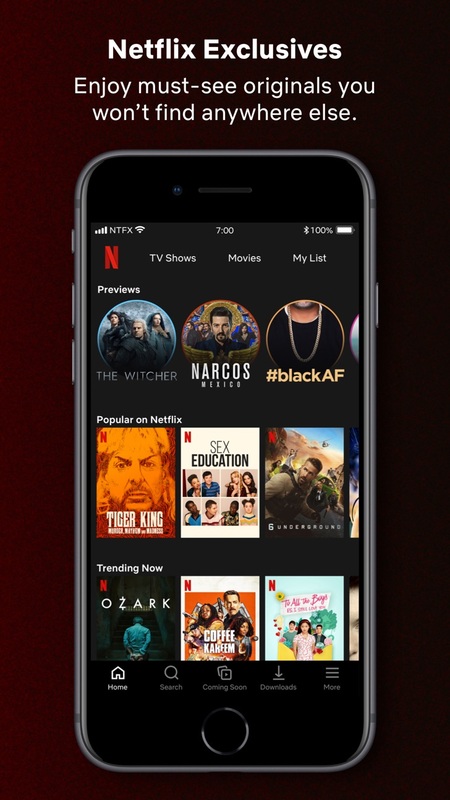 • The more you watch, the better Netflix gets at recommending TV shows and movies you’ll love. • Create up to five profiles for an account. Profiles give different members of your household their own personalized Netflix. • Enjoy a safe watching experience just for kids with family-friendly entertainment. • Preview quick videos of our series and movies and get notifications for new episodes and releases. • Save your data. Download titles to your mobile device and watch offline, wherever you are. We’re working on the app experience. You work on what, when, and how you watch next. That's equally as important. We know you have choices. In this release, we made gallery improvements so it’s easier to find the perfect thing to watch.